Most of the men and women like to use the perfume to give sweet smell to the people, when they attend the special event or the formal function. 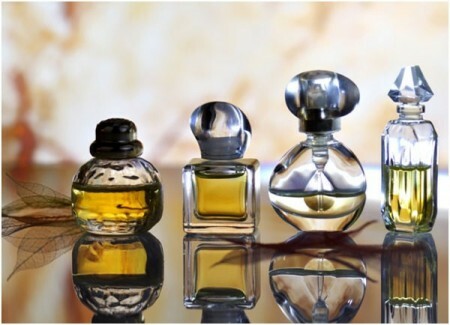 If you have any perfume, which is perfect then you can also preserve it or store it for the long time. The perfume can be saved for long time and the men and women can use it with its original scent. They should take great care of the perfume. The people should be aware of the truth that the use of alcohols and oils in the perfume is the main cause for loosing the real fragrance from the perfumes. There are some of the magic and wonderful tricks, when can be tried to save and store the fragrance of the perfume for a long time. If you place the perfume at such place, where it get maximum sunlight or heat then it can loose the fragrance. The people should place them at dry and cool place and try to place them behind the clothes, as it can loose less fragrance there due to less light and heat. The people should place the perfume at dry and cool place, as there is less heat and humidity. If excess heat is provided to the perfume then it will loose the heat. The women should store the perfume inside the freezer and in the refrigerator. The women should not place the perfume at the open shelf and the dresser. They should use frosted and opaque bottles to place the perfume there and they should not let the bottles to get the maximum light. The men and women should place the bottle of perfume at the dry place. If the women have the cupboard then they should place the perfume at the same place to let it dry and do not let loose the fragrance from the perfume. The women should handle the bottle with great care and they can use the frosted or the opaque bottle to place the bottle there or they can also place it in their handbags. The women should not shake the bottle of perfume. If you shake it then it will loose all the scent. If you think that the perfume will be longer lasting then avoid excessive shaking of the bottle of perfume. You can try all these above six tips, which are best for their use and you can bought the perfume for the first time.